Place 950mls cold water, vanilla, cinnamon and sugar in a saucepan over medium-high heat. Bring to the boil. Reduce heat to medium-low. 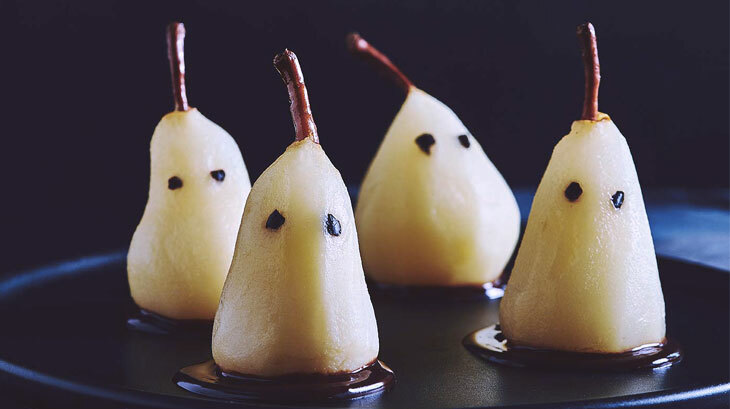 Add pears. Cook, partially covered, turning occasionally, for 18 to 20 minutes or until the pears are just tender. (This will vary depending on the ripeness of the pears.) Remove from the heat. Allow the pears to cool in the syrup, turning occasionally. Using a slotted spoon, transfer the pears to a plate.